Nationals right-hander Max Scherzer has become the 17th major league pitcher since 1900 to strike out at least 300 batters in a season. 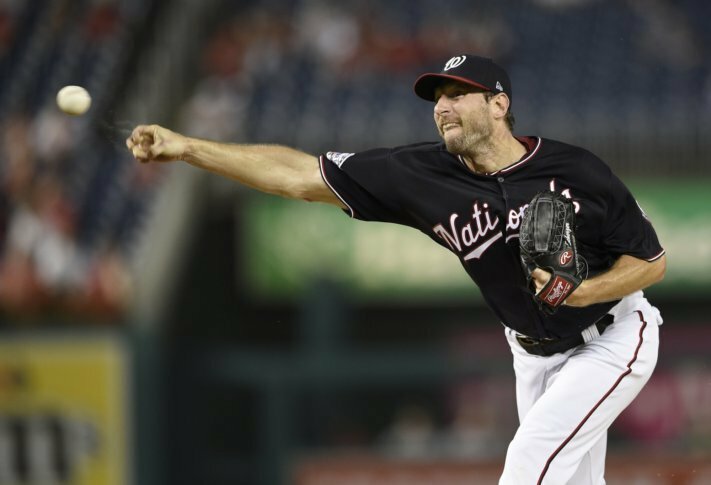 WASHINGTON (AP) — Nationals right-hander Max Scherzer has become the 17th major league pitcher since 1900 to strike out at least 300 batters in a season. Scherzer entered Tuesday 17-7 with a 2.57 ERA as he tries to earn a third consecutive NL Cy Young Award with Washington. He also won the AL honor in 2013 for the Detroit Tigers.